It’s time to recognize that while cars from the 1980s are still very much in the modern idiom, mostly with some modern luxuries, fuel injection, and disc brakes, by age they are moving into the classic segment. The cars most likely to be appreciated by aficionados could rightfully be those that best exemplify design trends, technical trends, and industry trends of their period. And while some might consider it ridiculous, there’s a case to be made that the AMC-built Renault Alliance, Encore and GTA fall in that category. They have the boxy styling of their period, low profile tires and a tasteful 1980s aerodynamic package, a thick-rimmed steering wheel, and a decently powerful but efficient engine. 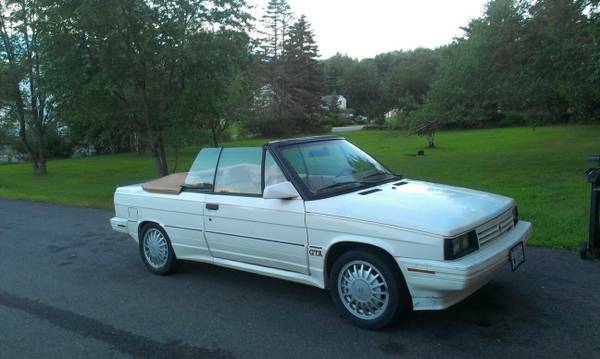 Check out this 1987 Renault GTA convertible for sale for $1500 in Rochester, NH. With the end of summer approaching in the parts of the country that have four seasons, it’s interesting to see what people are trying to move along as the old-car driving season draws to a close. The possibility of having to spend money on storage also puts pressure on pricing, so it’s your opportunity to scoop a good deal or two, especially if you can find something that’s had recent mechanical or cosmetic work. 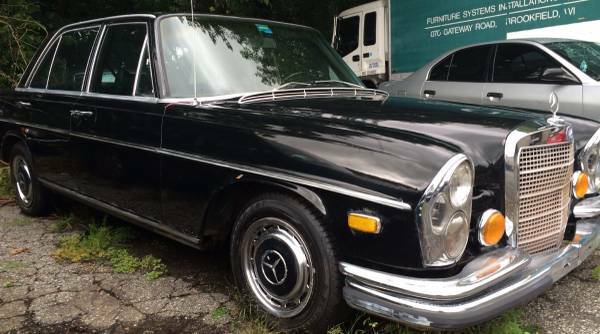 A great example of this timing is this 1972 Mercedes 280SE 4.5 for sale for $3950 in Roxbury, CT.
Here’s another entry in the chronicling of interesting cars on the roads of the San Francisco Bay Area of California. And this is only what your faithful correspondent can capture on camera – for example, today there was a Rover P4 on the streets of San Francisco, and an Alfa Berlina on the streets of Berkeley/Oakland. 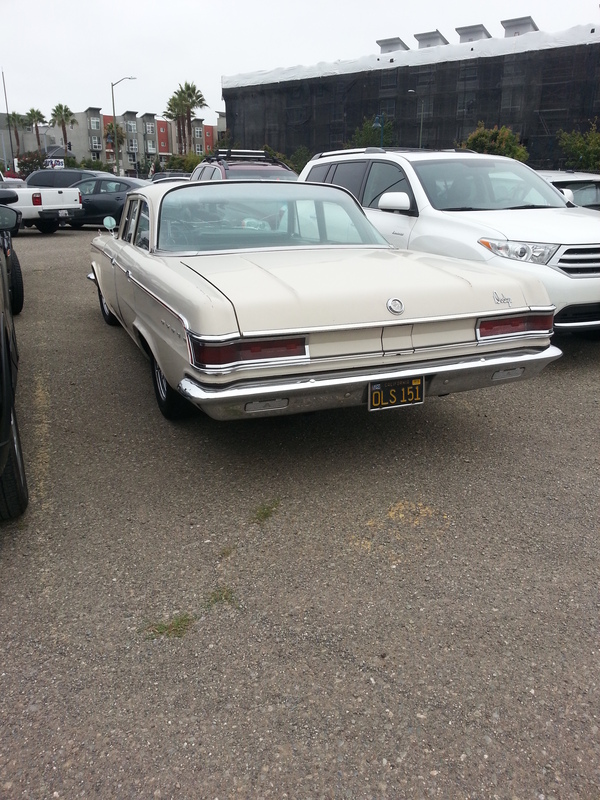 To catch us up, check out this 1964 Dodge 880 sedan. The owner has done some cool modifications that really add to the allure of this car – a slightly lowered body with shiny but worn paint is offset by red reverse steel wheels with faux knockoffs. This picture doesn’t really do it justice – if you live in Oakland, keep an eye open for this example of “the most elegant automobile ever fashioned by Dodge” (says the brochure).